Young people really don’t listen to safety messages anymore. Generation Y (and the following Generation Z) are often so busy replying to a text or checking their Facebook while waiting for the train or metro to arrive, that they forget they’re actually on the border of the railway platform. The result is that young people are most likely to get injured in or near a metro or train station. Because of this problem, Metro Trains asked McCann Melbourne to create an original, genuine and most of all sharable and effective safety campaign that would get noticed by young people. The result was the catchy ‘Dumb ways to die’ song which fits perfectly into the CRUSH model and resulted in the most awarded ad campaign in the history of the Cannes International Festival of Creativity. 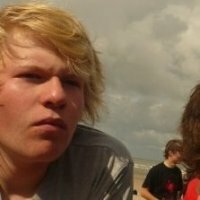 ‘Dumb ways to die’ won no less than 5 Grand Prix Lions, 18 Gold Lions, 3 Silver Lions and 2 Bronze Lions. Even better than the international praise is the effectiveness the ad campaign created. Because of ‘Dumb ways to die’, Metro Trains reported a 21% reduction in accidents and deaths since the campaign began. But how, you might wonder? How is it possible that a public safety message, dressed as a cartoon-like song, gets so much praise and creates so much effectiveness? In the following part, I (a Gen Y youngster in heart and mind) will try to explain how the ‘Dumb ways to die’ campaign fits into the CRUSH model, how this fit results in a better brand image and more positive conversations about the brand and finally how this all has a positive effect on brand leverage and effectiveness among Gen Y. Just as a side note, you have to keep in mind that in most public safety messages the subject that is being advertised is not the brand as such (in this case Metro Trains), but the safety message the brand stands for. So when I talk about ‘the brand’, I mean the core message ‘be safe around railways’. This is the message that Metro Trains primarily wants people to talk about. It is only secondly that Metro Trains hopes people will talk about Metro Trains as such. So let’s begin. If you had to classify ‘public safety messages’ on a scale of categories having an easier/tougher job in creating cool brands, you would probably place these type of messages in the category that has the hardest job in creating cool brands. In other words, you could say that plain they simply aren’t that cool. But the upside of these ‘uncool’ categories is that it is easier to surprise and wow the Gen Y audience with unexpected, original campaigns. And that is what McCann Melbourne succeeded in creating. 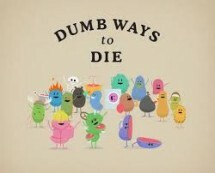 Take a look at the ‘Dumb ways to die’ video, you simply can’t deny it. This is cool. The right mix between happiness and horror, reminding you of Happy Tree Friends, it’s original, catchy and immediately puts a gentle smile on your lips. And because this video is so original and appealing , as a Millennial you immediately want to share this content with your friends. Within a week, ‘Dumb ways to die’ had over 20 million views on YouTube, coverage on every television network in Australia and became the world’s most shared video. But just ‘cool’ isn’t enough for Gen Y. The message also needs to be genuine and honest. If for example, during the ad Metro Trains had put too much emphasis on their own company name instead of on their safety message, the marketing-savvy Gen Y would soon have criticized the safety campaign as phony. By focusing mainly on the safety message, only mentioning Metro Trains right at the end of the video, Millennials realize that Metro Trains really wants youngsters to travel safely and doesn’t just want to increase its market share. This coolness and authenticity of ‘Dumb ways to die’ is closely linked to its uniqueness. Gen Y youngsters always wonder about brands: who are you? What makes you different from any other brand? By using a cartoon-like song and video which really stick to your mind (trust me, you won’t get this song out of your head for days to come), the Metro Trains safety message is nothing like any other safety message you’ve ever seen before. And because the campaign is so unique, it gets through the ‘marketing filter’ that Millennials (un)consciously built in. By being unique, the ‘Dumb ways to die’ safety message reaches Millennials and in the long run creates effectiveness. Because of the unique campaign, no less than one million people took a pledge to be safe around trains and 21% fewer accidents and deaths were reported since the start of the campaign. Would ‘Dumb ways to die’ have been such a success with only the 3 already mentioned factors? Probably not. In order to be really relevant to Millennials you should have something in common with them. GenYers need to recognize themselves in your brand. And ‘Dumb ways to die’ is definitely recognizable for Millennials. By giving an overview of all kinds of stupid ways to die, ‘Dumb ways to die’ gives Millennials an opportunity to reflect about all their own mistakes that almost got them killed. When people get to the end of the video, they might even realize that, just like in the video, they also almost died once because of unsafe behavior in or near a train station. Although death is a heavy subject, ‘Dumb ways to die’ makes it light, funny and accessible. Alice Clarke, journalist for the Herald Sun, described the video as ‘adorably morbid’. She also wrote that with ‘Dumb ways to die’ Australia’s public transport ‘broke its long running streak of terrible ads’. In the past, Australian safety messages towards Millennials were mostly built around ‘scare tactics’. But young people, who mostly want positive and hedonistic feelings displayed in ads, have learned to filter out these terrifying messages as much as possible. Thus, by using happiness as an important underlying feeling in the ‘Dumb ways to die’ campaign, Metro Trains finally succeeded in touching the hearts, minds and actions of GenYers. Before spending a dollar on media, the music video received over 20 million YouTube views. Currently, the number of views on YouTube alone is over 55 million. Over 200 cover versions of the ‘Dumb ways to die’ song were made on YouTube. The ‘Dumb ways to die’ song charted on iTunes in 28 countries and made the top 10 in many of them. Over 3 million Facebook shares made ‘Dumb ways to die’ the most shared public service campaign in history. ‘Dumb ways to die’ is the most awarded ad campaign in the history of the Cannes International Festival of Creativity. ‘Dumb ways to die’ also received 7 Webby Awards, 3 Siren Awards and the Grand Trophy in the New York Festivals International Advertising Awards. Over one million people took an online pledge to be safe around trains. In post-testing, 39% of the GenYers said they would try and be more careful around trains because of the ‘Dumb ways to die’ campaign. Because of the ‘Dumb ways to die’ campaign, Metro Trains experienced a 21% decrease in accidents and deaths in or near train stations.